CNC machining has many advantages over traditional machining methods. It can control much more complex sets of machinery, often in much smaller spaces than traditional methods require, to create a series of products that are the same during every single run. What is CNC machining? CNC stands for “computer numerical control”. This is a much better method of controlling machining tools than manual control. Instead of people physically controlling the tools with buttons, levers, and wheels, the CNC process uses a computer. With only a single set of prompts, the computer can control a range of tools with a high degree of precision. Need a CNC Quote for Your Project? CNC machining allows users to set a program to make cuts, grind materials down, and—in the case of 3D printing—lay down material exactly as programmed. Everything depends on the program. With traditional machining processes, everything depends on the skills of human machinist. While very skilled, human precision is imperfect, affected by exhaustion, hunger, fatigue, distraction, and everything else that we feel in our everyday lives. Even if someone only needs to press a lever in order to machine a part, they can miss a cycle or not pull it at the right rate. This can result and effects and differences between products produced by traditional machining methods. With CNC machining, instructions are input into a computer. Everything is based on this code and every action of the machining tools are based on it. CNC systems can also be revised and updated with new prompts to perform different tasks. 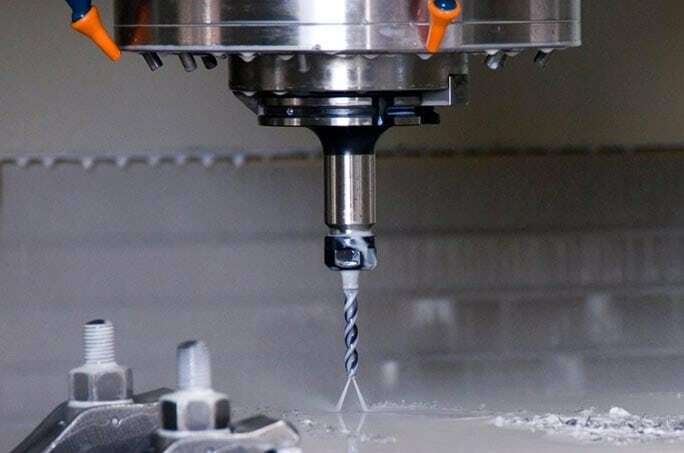 Provided the tools that the computer controls can do the physical work, the CNC system can be reprogrammed to create a whole new product just by changing the commands. Many different machining tools can be set up to use CNC machining methods. This includes mills, lathes, plasma cutter, water jet cutters, electric discharge machines, foam cutters, glass cutters, laser cutters, turret puncher, wood routers, and more. These CNC systems are not restricted only to simple cuts and angles but can do complex or oddly shaped ones as well. There are even CNC embroidery machines, which do small delicate work over and over again. Most in use today are completely electronic to take full advantage of CNC’s precision. CNC machining was key to the development of the processes that led to 3D printing. 3D printing takes advantage of all the precision and automation allowed by CNC process, but it is an additive process rather than a subtractive one. With 3D printing, the task is programmed into the computer much like it is with CNc manufacturing. Rather than cutting or grinding, however, the object is built layer by layer to the exact specifications that have been input into the system. At Jawstec, we use cutting-edge technology to 3D print. Our equipment uses additive machining processes that bear a lot of resemblance to CNC manufacturing. Our 3D design service can help you take advantage of 3d printing’s precise CNC processes to create unique products that are optimized to your needs. Contact us today to find out how we can help you find new and advanced manufacturing solutions.